Hard to believe it’s almost the end of March! It also means our wedding is now just 3 months away! Its easy in the winter months to add an extra layer, to put it nicely, of insulation. It can get cold out there… but with spring here I’m ready to get out of the hearty pastas and stews and into the lighter spring/summer dishes! I love Asian food but I am always too intimidated to try and cook it. 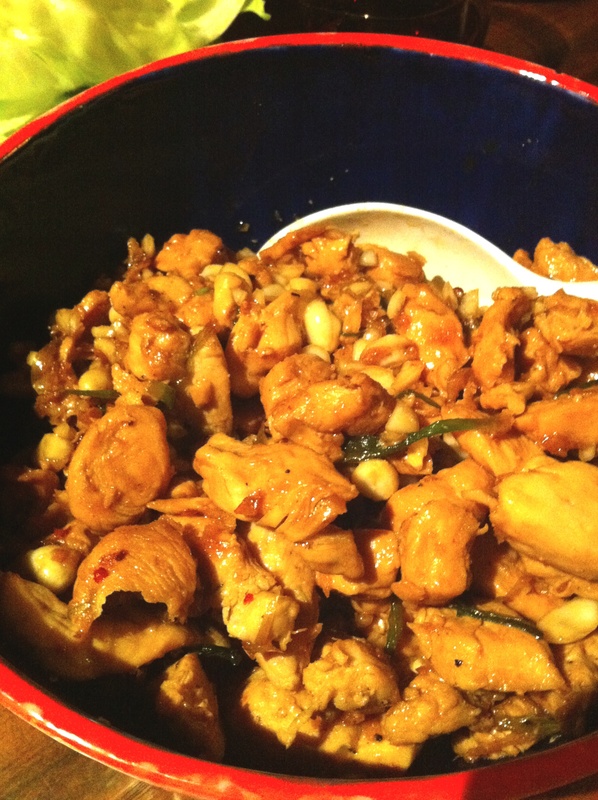 This recipe for ginger soy chicken is actually from a Rachel Ray cookbook that I’ve adapted slightly. The original recipe calls for shredded lettuce but I find it much easier to eat in the iceberg leafs than with a fork and knife. 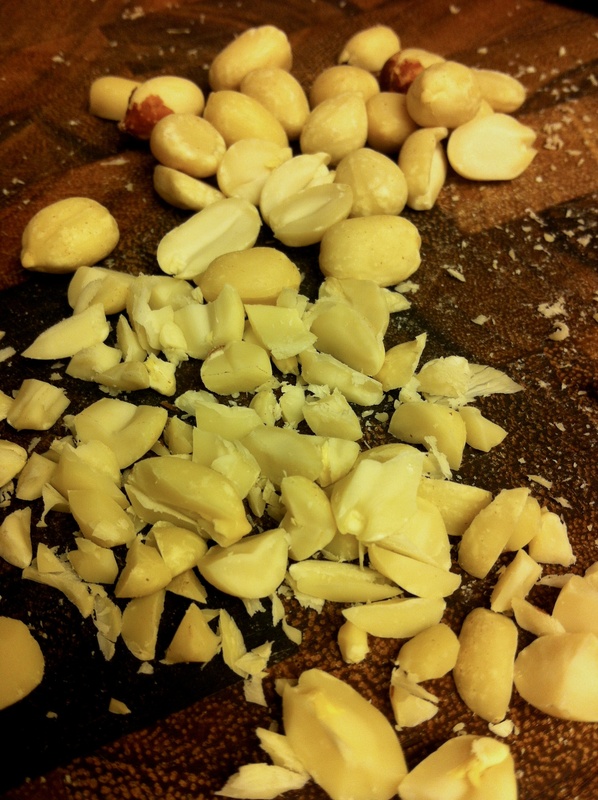 I also added peanuts to the recipe (tip from Greg!) which gives the chicken an awesome flavor and much needed crunch! This recipe is great because its not too complicated and its satisfying even though its low carb. I served it with fresh Vietnamese spring rolls (recipe coming soon, they were delicious!) and steamed baby bok choy. It was the perfect spring dish. Enjoy! Heat a large nonstick skillet over high heat. Add the vegetable oil. It should smoke up a bit. Add the chicken and season with a little salt and lots of black pepper. Stir-fry for a minute to sear the meat at the edges, then add the ginger, garlic, and red pepper flakes and cook for 2 minutes more. 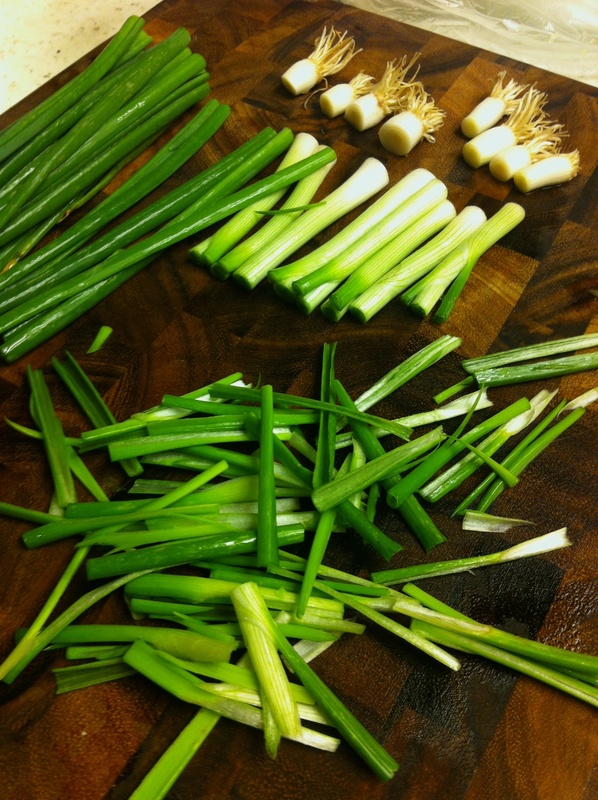 Add the scallions and stir-fry for another minute, then add the tamari and honey to form a sauce and glaze the chicken. Add peanuts and Remove the pan from the heat. 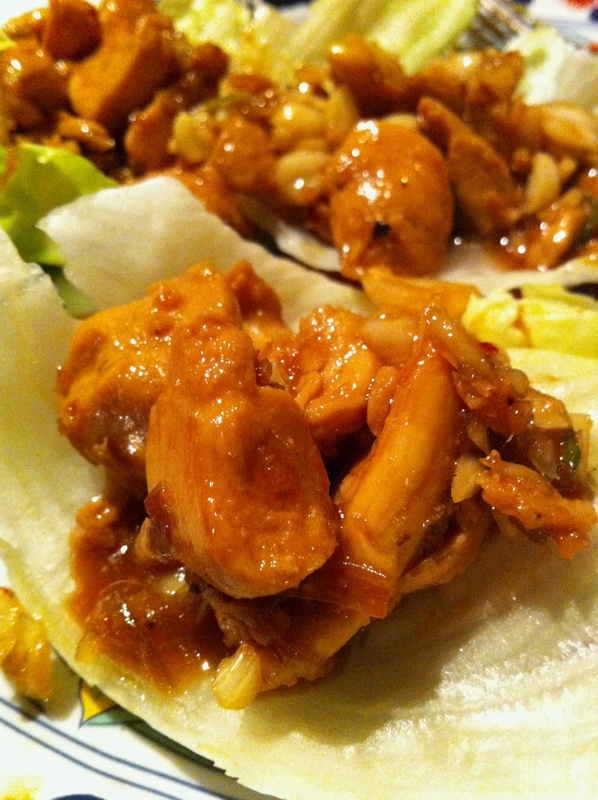 This entry was posted in Entrees, Recipes and tagged chicken, chicken lettuce cups, Ginger, Rachel Ray Ginger Soy Chicken, Soy by skibootsinthekitchen. Bookmark the permalink.